Albeit Bitcoin might be taking all the spotlight in the crypto world, there a couple of other cryptocurrencies that are worth knowing, likewise, your investment. Amongst the over one thousand five hundred cryptos there presently are, a few number of them have managed to put up a good fight against Bitcoin in terms of popularity, value, market cap and other categories. Ethereum, Bitcoin Cash, and Ripple have all come close to Bitcoin and have grown to become the most traded coins in the crypto market. LiteCoin is another cryptocurrency with noting. According to CryptocurrencyFacts, Litecoin was the second most popular cryptocurrency as of 2015 with one coin having a value of about $1.50 USD. But today, 3 years later, LiteCoin is worth about $118 and has a market cap of $6.66B. LiteCoin is also built on the decentralized model that majority of all other crypto were built on. But unlike Bitcoin, transaction rates and duration are faster. Block transactions in the Bitcoin network take about 10 minutes to get completed while LiteCoin transactions happen in the space of 2.5 minutes. None of these are as fast as Ripple though; XRP transactions are completed in 4 seconds! Demystification: All the above-listed cryptos operate a decentralized and public ledger network that only slows transactions to occur at fixed periods. A new transaction is added to the Bitcoin ledger every 10 minutes. On the Litecoin, 2.5 minutes. LiteCoin was invented in 2011 (2 years after Bitcoin) by Charlie Lee, a cryptocurrency expert and former employee at Google and Coinbase (one of the largest cryptocurrency wallet and exchange platform in the world). His experience at Google and role as the director of engineering at Coinbase surely played a role in the creation of a coin with one of the largest market capitalization. How do I get Litecoin? There are quite a number of ways to own some Litecoin. One of such ways is to create it, or what people mostly referred to as “mining”. 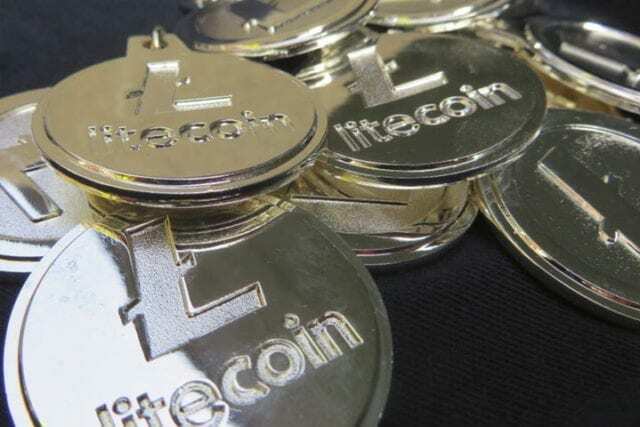 Like Bitcoin and Ripple, there are a finite quantity of Litecoin (LTC). Litecoin was designed in such a way that there can only be a total of 84 million of it in existence. 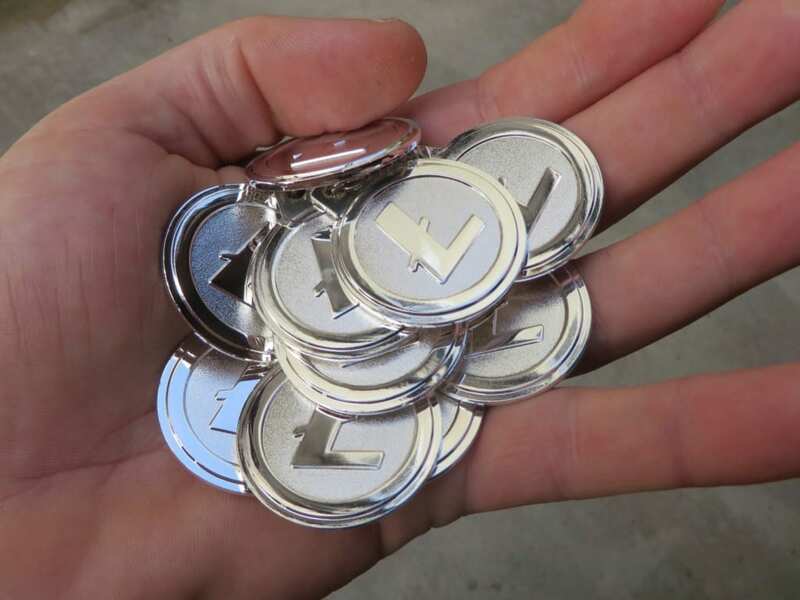 Lee, as a founder of the coin, has a high number of Litecoin in possession. However, according to this report, Lee has unloaded (i.e sold) all his Litecoin because he believes it is a conflict of interest to hold Litecoin as the founder and still advocate for it. In fact, according to him, he has been accused of influencing the price of the coin for his personal gain. Hence the decision to offload the Litecoin he had in his coffers – which, by the way, the quantity remains unknown. Now let’s talk about mining, keeping, and trading Litecoin. Unlike Bitcoin, mining Litecoin is more CPU-intensive and more difficult. Due to the CPU-intensiveness of Litecoin mining, graphics cards are used in mining the coin – but they are expensive, rendering mining less profitable. As a hack, BitcoinMining suggests mining Bitcoin with the Antminer ASICs computers, then trading the mined Bitcoins for Litecoin on crypto exchanges. However, if you insist on creating your Litecoin, you can use the service of a Litecoin Mining calculator to check profitability before venturing fully into Litecoin mining. Profitability is calculated by taking factors like hash power of your mining hardware, the efficiency of hardware, electricity cost, the efficiency of hardware and the price of Litecoin into consideration. We found these resourceful videos below. They show, systematically, the processes involved and equipment required to successfully mine Litecoin on your Windows and Mac personal computers. P.S: The processes and equipment are capital and time-consuming. This WikiHow tutorial about Litecoin mining is also enlightening. Since mining Litecoin doesn’t really pique the interest of many due to cost and memory-intensive processes. People just resort to buying, selling and holding instead. These are physical USB style wallets that provide the highest level of security for you coin. A physical wallet usually stores multiple cryptos and cost some dollars (depending on the brand) but they are worth the investment. Ledger Nano S and Trezor are two of the most trusted and popular hardware wallets to store your Litecoin for trading. We attached a video in this post on how to setup and use Ledger Nano S wallet to store Bitcoin. You should check it out. Desktop wallets are dedicated (software) wallets to be installed on your PC. Exodus is a well-known multi-crypto desktop wallet that supports the storage of Litecoin. Litecoin Core is another desktop wallet available for Windows, Linux and Mac operating system. Both Exodus and Litecoin Core are free. Do you trade Litecoin on-the-go and almost every minute? Or you need a more readily available wallet to monitor your Litecoin balance, then you should download Jaxx or LoafWallet on your smartphone. Jaxx is available for Android and iOS devices while LoafWallet is restricted to iOS devices only. The founder of Litecoin was a former director of engineering at Coinbase. What better place is there to buy or sell some Litecoin than a place where the Litecoin chief used to work? The ease of trading Litecoin on Coinbase is superb. You can buy directly with your debit or credit card, or exchange some other cryptos (BTC, Ripple, Ethereum) for Litecoin. CEX is another platform (one of the oldest) where you can buy Litecoin directly with your credit card. BitPanda, Kraken, and Bitstamp, Changelly, Binance, and ShapeShift are notable mentions. P.S: Some of these exchanges offer Litecoin wallet services, but it is best practice to never store your coins on an exchange. Have you ever traded Litecoin in any of these exchanges? Tell us about your experience. Got any Litecoin or crypto related question? Please, shoot us with it in the comments.